OK. Here’s where I admit that I can’t stand banana bread…unless it’s loaded with chocolate chips and minus the nuts. I’ve got a fantastic recipe that’s been tucked in my cookbook so long, I don’t know where it originated. And it has an added bonus…Hubby might chase you around the kitchen to lick the chocolate off your lips! But if he doesn’t, don’t be shy! Crush bananas. Add eggs (beaten light), sugar, flour sifted with salt and baking soda, and chocolate chips. Pour in greased loaf pan. Bake at 325 degrees for one hour or until the top is golden brown and the middle is done. Slather with butter. Ohhh, we always MUST have choco chips in ours too! Everything's better with chocolate! Hey Kathi. The banana bread? Or the extra smooching in the kitchen! LOL. Enjoy! Susan, you're sooo right. My hubby puts choc chips in pancakes, too. Yum! Hey Dana. At 98 degrees, there's no nip in the air here. But my son's headed home today and this is one of his favorites. I have to send him back to the dorm with banana bread and brownies! Thanks for stopping by. I love banana bread – probably without the choc chips! But to each his own! Hi Dora, Oooh, Chocolate Chip Banana Bread. Who could resist? :-) Pleasure to meet you! Hey Tracy. You don't like chocolate? Or you prefer bb with nuts? Which is it? lol. Thanks for stopping by. I think my boys would love bb with chocolate chips. Wonder why I never thought to add them before…? I think this should have been a 'no-brainer'..especially as chocolate covered bananas are a favorite in this house. Oooh, Nadja, choco-covered bananas? My hubby would LOVE them frozen! I'll have to try them. Thanks! 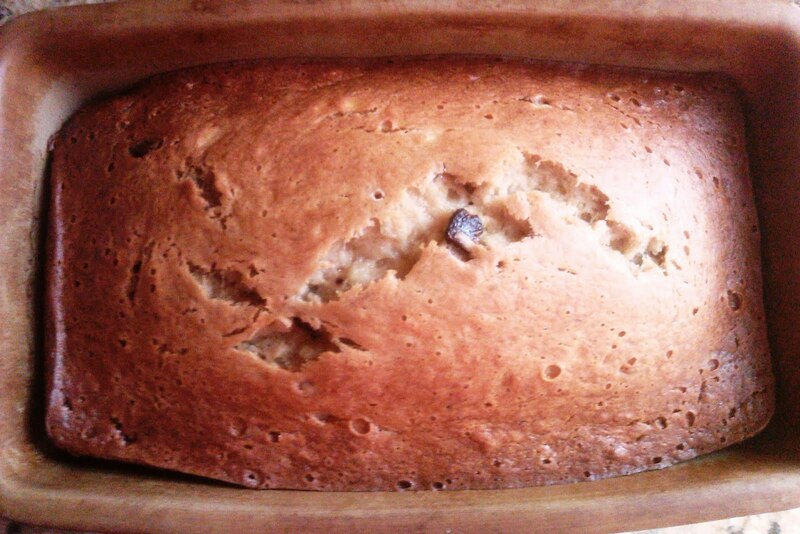 I love me some banana bread. Especially like the addition of chocolate chips. Stopping by on the crusade from the romantic suspense group. Hi J.L. Thanks for stopping by today. Nice to meet you. Good luck on the challenge!